Fujifilm just released the new firmware update version 4.00 for Fujifilm X-T2 mirrorless camera. 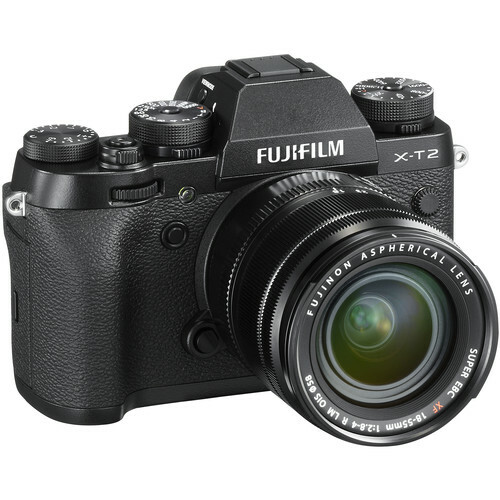 This Fujifilm X-T2 firmware version 4.00 adds focus bracketing, enlarged and customizable indicators in viewfinder and LCD, F-log recording to SD card, 1080/120p high speed mode, Enhanced Phase Detection AF, Flicker reduction and more. Fujifilm X-T2 Firmware Update Version 4.00 Now Available posted on Camera Times on May 8, 2018 1:03 pm .